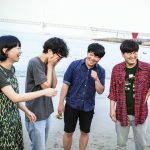 We are all in on this band (my favorite people from Korea behind Son Heung-min) and if you haven’t listened yet, here is the current jam “B-Lover” by Say Sue Me in video form, super spy-style. To our friends over the Atlantic, the band is kicking off some European dates with tickets available. Where We Were Together played on my stereo for a good bit of this Spring…and luckily I was able to catch Say Sue Me in a quiet room during SXSW. 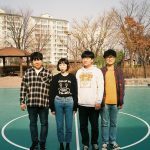 Now, the Korean quartet are right back it with their brand new single for Damnably. For those that recall the jangling guitar pop, the A-side might give you a glimpse at a band forging their own ground. There’s something far more thoughtful in the presentation alone; the song expands near six minutes, with the front end of the track delivered in a casual pop manner. You can hear a slightly heavier sound in the distance of the song, but it doesn’t really kick in until just after the 3 minute mark, blasting off into some semi-Madchester zone. Look for this great song on the new 7″, out August 24th.